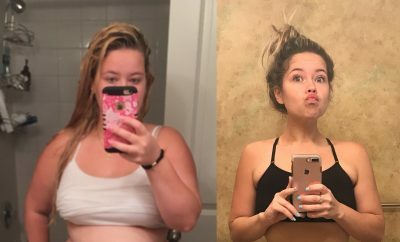 I started having weight issues after I had my daughter! And it got worse after my mom pasted away from cancer July of 2010! I started having health issues and was so tired all the time. I had barley any energy to play with my daughter!! The turning point was my health, I have high blood pressure , Arthritis in my lower back and Neurotic Pain in my leg’s . So I knew the only thing to do to help with this was losing the weight! I stated losing the weight on my own in December of 2014. In late January 2015 , I was having a little trouble losing on my own, so my doctor sent me to see a nutritionist. We talked about my goals and where I wanted to be as far as weight loss. She put me on a 1500 calorie diet. I stopped eating out and only ate what I cooked at home. I stopped eat candy,cookies and sweets . I also stopped eating fried foods and starches. I ate only chicken and fish, veggies fruits and low fat and low calorie foods. In 3 1/2 months, I went from 174 pounds to 136 pounds. I started working out at home doing Hip Hop Ab’s Monday – Friday 45 minutes a day! If it was warm out I’d walk 2 miles. Yes I did want to give up!!!! 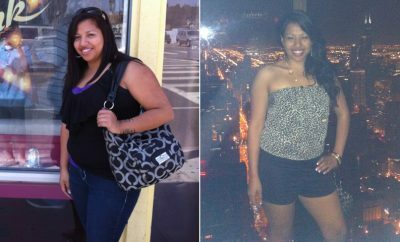 What motivated me to lose weight was my health. I also did it for my 6 year old daughter! 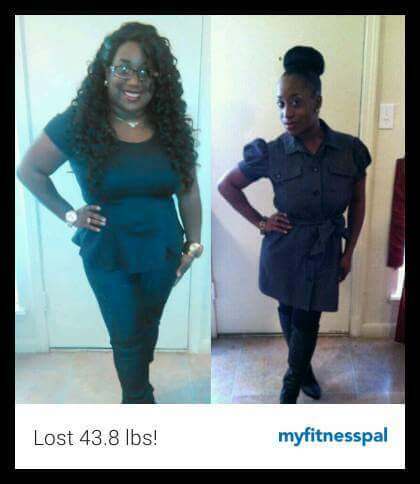 She needs me to be here for her, so I knew that losing the weight would help my health. I try not to weight myself so much because the scale does not matter! I’t all about how you feel and how your clothes fit you!!! It took me 8 to 9 months to lose most of the weight! My weight go’s up and down. my weight today 4/2016 is 118 pounds! Yes just knowing that i could fit into a size 5 told me that I have lose weight! I didn’t need the scale to tell me that!!! I cant move around better than before and that’s so awesome!! My advice to anyone who is wanting to start or who’s trying to lose weight is to set your goals and never let anyone tell you that it’s not possible, because it is and you can do it! Weight loss is not easy but you can do it. Once you start seeing results it is Awesome! You look better and you feel better. It’s just the most rewarding feeling ever to know that Yes I was 174 plus pounds but look at me now. Yes, I did this and I’m never going back! Work out at home! get you so workout video’s and small weights and a workout mat and go for it! walking for 30 min’s to an hour! walking is great exercise!! you can also watch youtube workout video’s if you can’t go out and buy them!! 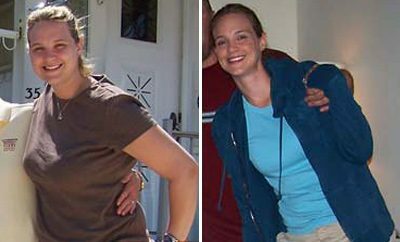 Next Story → 110 Pounds Lost: Facing my food addiction!